Stunning Twinhome located in The Laurels at Old Creek Ranch. This immaculate & highly desirable floorplan features 3Bd + Loft/ 2.5 Baths, a gourmet kitchen w/granite counters, huge center eat-at island, stainless appliances, spacious pantry, & opens to family room w/cozy fireplace. Large loft with a view! Spacious master suite w/dual walk-ins closets, large backyard with paver patio, A/C, & 2 car garage w/epoxy floors & storage. Resort style community amenities. Award winning schools. See Supplement., Charm meets function in this stunning twinhome located in The Laurels at Old Creek Ranch. Conveniently located on the border of San Marcos & Carlsbad, this immaculate & highly desirable floorplan features 3Bd + Loft/ 2.5 Baths, a gourmet kitchen with granite counters, huge center eat-at island, stainless appliances, spacious pantry, & opens to the family room w/custom built-in shelving/storage, and cozy fireplace. Upstairs you'll find a large loft with a view making it the ideal space for an office, den, or playroom, laundry room with sink, storage, and counter. Spacious master suite boasts dual walk-ins closets, dual sinks, soaking tub, and separate shower. Other features include: Spacious backyard with paver patio, A/C, and 2 car garage with epoxy floors and storage. Community offers resort style pool, spa, BBQ area, playground and more. HOA fee includes water. VA/FHA welcome. Award winning San Marcos School District. Conveniently located just walking distance to shopping, restaurants & just a short drive to the beach. 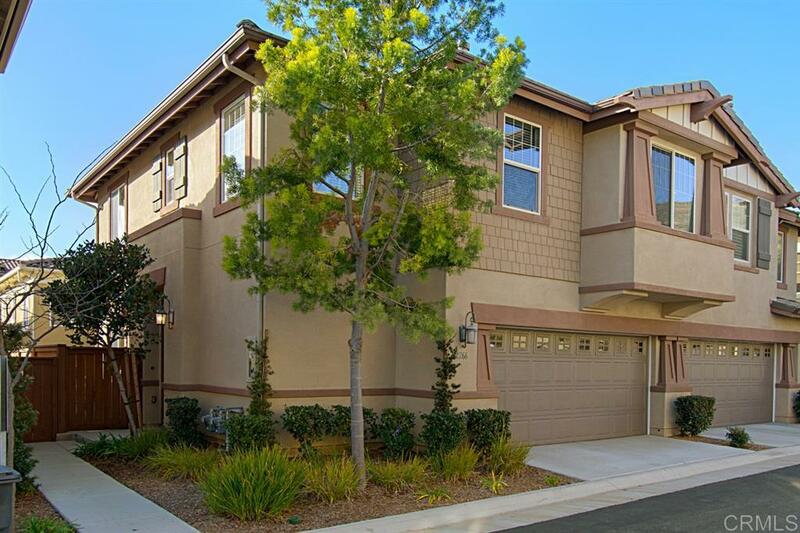 Located in the Old Creek Ranch community of Laurel, near the award winning community of San Elijo Hills.